Part of the Exhibition On Screen series. 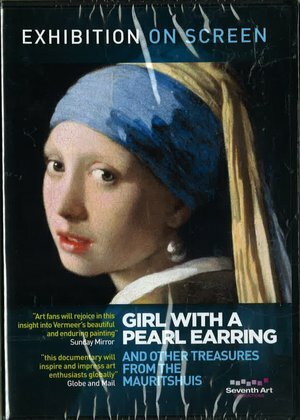 ‘The Girl with a Pearl Earring’ by Johannes Vermeer is one of the most enduring paintings in the history of art. This beautifully filmed documentary goes in pursuit of answers to the unresolved riddles surrounding this extraordinary piece. Holland’s distinguished Mauritshuis, is home to the painting and is a stunning jewel of a gallery. Enjoying exclusive access, the film’s main focus are the key works housed here. Interpretation of these major treasures offer insights into Vermeer and his most famous work and are interwoven with Vermeer’s life story and behind-the-scenes footage.